Jim Butcher's posts on the art and craft of writing are the best I've read and have been of enormous help to me. I often recommend these posts but haven't found any one place where all the URLs are listed. True, most of them can be found on Jim's Livejournal blog but they appear (as one would expect) in reverse order and there's no index. I likely haven't gathered all the links to all Jim's articles on writing so if you know of one that isn't listed, please mention it in the comment section and provide the URL if you have it. Thanks! These posts are all from Jim Butcher's Livejournal blog. Jim Butcher made some great writing related remarks in the comment section; I provide a summary here: How To Build A Villain. My favorite quote: "[I]t’s easy to come across as witty in a book as long as you spend enough time in your head having conversations with imaginary people". 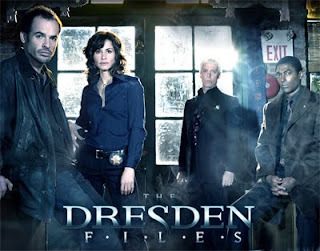 - Dresden Files Word of Jim (WoJ) Compilation. - Old School Email List. Contains material that predates the forums. - Jim Butcher's posts on Amazon and elsewhere. - Transcriptions of various audio and visual sources. Thanks go out to Serack and the other folks over at Jim Butcher's forums for compiling this information and making it available to the public.